Home / blog / What does a wedding celebrant do? B. They see the non-religious ceremonies as being more personal and not bound by certain readings or songs. D. Or for many some want a simple ceremony, by this I mean having the ceremony in venue the reception is in. I took some time out to chat with my pal Sue. You would have heard from her many times throughout my blog as she is a wedding planner in Nerja and also plans weddings here in Ireland. Sue doesn’t stop there, she also looks after your ceremony. Is there anything she doesn’t do?? “I get to meet so many incredible couples each with their own ideas, stories, dreams and styles. No matter what the ceremony, you’re meeting people at their happiest time and this is such a rewarding experience. If you combine imagination and creativity with careful planning, anything is possible. It really is the couples day and I really focus on the specific needs of the people I work with“I wanted to get my head around the different ceremony types. Sue explains that there are many symbolic exchanges that represent marriage and the most popular include sand ceremony, unity candles, and hand fasting. – The sand ceremony takes two separate glasses of sand and the couple pour to one larger vase to signify the joining together. – The Unity candles set up is where both light an individual candle and then towards the end of the ceremony, the couple use the flame from their individual candles to light one large candle together. – Hand fasting is where the couple join hands and the celebrant ties ribbon to combine the hands. Sue also explains that sometimes, couples come and ask for something that is unique to the couple and that’s why the initial meetings are so important as it allows couples to ideate and Sue to bring out the creativity with the couple. 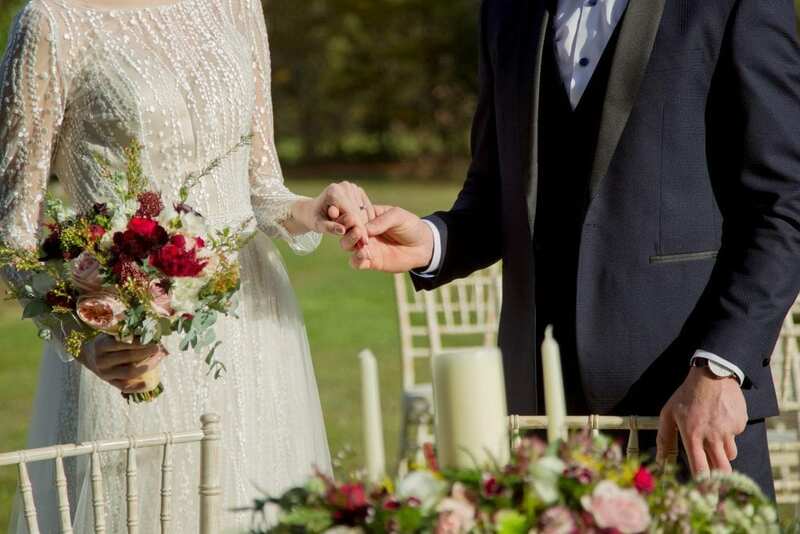 A celebrant would not look after the legalities of the marriage and you will find that most couples visit their local registry office, sign the marriage papers and do the personal ceremony with a celebrant on their wedding day. I talk more about this in my next article. A professional Independent Celebrant will go through that with you and detail exactly what you need to do (it’s very simple and easy! ).